This is really huge. 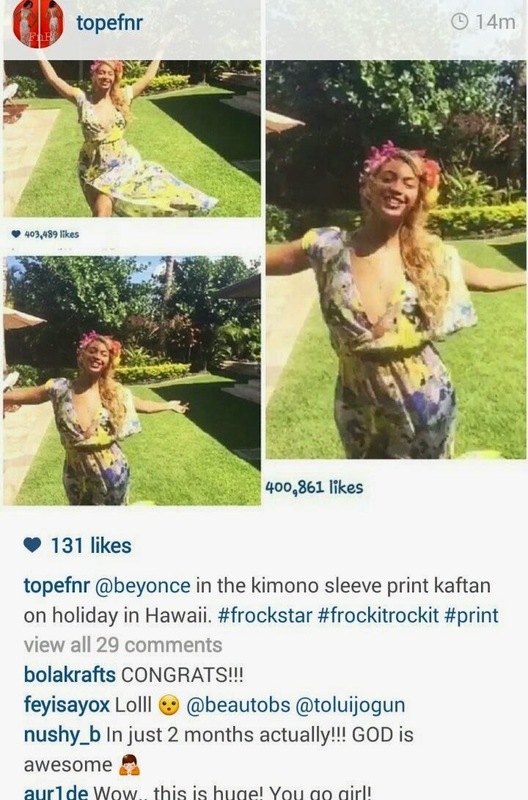 Beyonce was spotted wearing a kaftan designed by Nigerian label, "Frockit, Rockit" recently. The picture was taken during her vacation in Hawaii. Congrats to the fashion house.